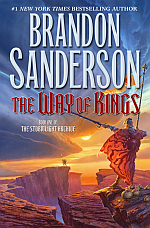 So, my long delayed review of The Way of Kings, by Brandon Sanderson. I’m just going to start with one word for the moment: Wow. TL;DR version: If you enjoy epic fantasy, you will enjoy this book. On #MyWANA the other day, I mentioned that I put my draft of my WIP on my iPod. There was some interest in that, so I thought I’d give you some ideas on how you can do that. I’m saying up front that this is more of a technical article, akin to Patrick Thunstrom’s TweetDeck series (check them out if you want to use that program at all, good stuff). You’ll need to be somewhat familiar with your computer and its programs. In short, there are 2 ways: the easy, and the not as easy way. So, if you want to take the plunge, read on! Choose Your Own Adventure. Just that name brings fond memories to many of my generation. You would read through the story, making decisions as you went. I read some of them, and enjoyed them. But, not as much as I might have. Most of them were more real world, and I enjoy fantasy a lot more. It’s a pity I didn’t find any of the RPG style gamebooks. I hadn’t heard much of this style of story in years, and thought they were pretty much dead. It turns out I was wrong.